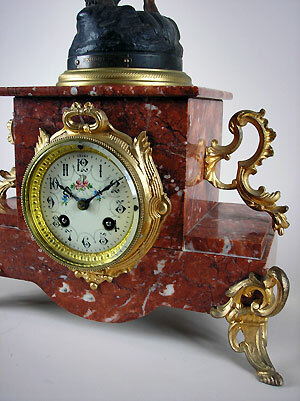 This is a figural mantle clock in a rouge marble case with ormolu mounts by Martie & Cie. 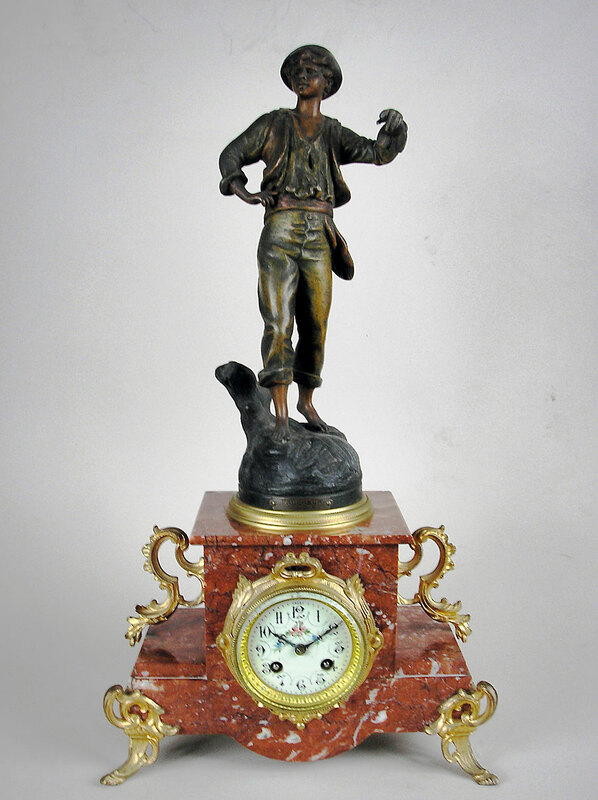 The clock has a porcelain dial with Arabic numerals, a painted floral centre and fleur-de-lys hands. 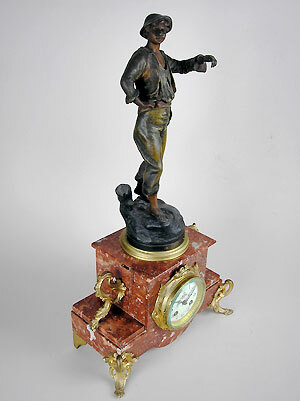 It has an eight-day bell striking movement. 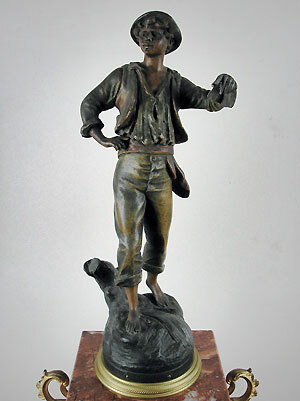 The male figure depicts a farmer and is titled Faucher par Geo. Maxim.